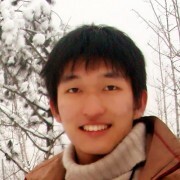 I am a researcher in the Data Management, Exploration and Mining (DMX) group at Microsoft Research Redmond Lab. I completed my PhD from the Department of Computer Science, University of Illinois at Urbana-Champaign (UIUC). I had the pleasure to be advised by Professor Jiawei Han during the course of my PhD as a member of the Database and Information System (DAIS) Lab. I received my Bachelor’s degree in CS from Tsinghua University. I am also studying a new application area for data science: SysML. My past research in mining unstructured data such as text and graphs won me SIGKDD Data Science/Data Mining PhD Dissertation Award in 2015. A selection of my work in these areas can be found here. I serve as a PC member in data mining, database, NLP and machine learning conferences. Jiezhong Qiu, Yuxiao Dong, Hao Ma, Jian Li, Chi Wang, Kuansan Wang and Jie Tang, “NetSMF: Large-Scale Network Embedding as Sparse Matrix Factorization”, to appear in WWW 2019. Silu Huang, Chi Wang, Bolin Ding, Surajit Chaudhuri, “ABC: Efficient Selection of Machine Learning Configuration on Large Dataset“, in AAAI 2019. Chi Wang, Kaushik Chakrabarti, “Efficient Attribute Recommendation with Probabilistic Guarantee“, in KDD 2018. Honglei Zhuang, Chi Wang, Yifan Wang, “Identifying Outlier Arms in Multi-Armed Bandit“, in NIPS 2017. Bolin Ding, Silu Huang, Surajit Chaudhuri, Kaushik Chakrabarti, Chi Wang, “Sample + Seek: Approximating Aggregates with Distribution Precision Guarantee“, in SIGMOD 2016. Dominik Moritz, Danyel Fisher, Bolin Ding, Chi Wang, “Trust, but Verify: Optimistic Visualizations of Approximate Queries for Exploring Big Data“, in CHI 2017. Chi Wang, Xueqing Liu, Yanglei Song, Jiawei Han, “Towards Interactive Construction of Topical Hierarchy: A Recursive Tensor Decomposition Approach“, in KDD 2015. Ahmed El-Kishky, Yanglei Song, Chi Wang, Clare R Voss, Jiawei Han, “Scalable Topical Phrase Mining from Text Corpora“, in VLDB 2015. Jialu Liu, Chi Wang, Marina Danilevsky, Jiawei Han, “Large-Scale Spectral Clustering on Graphs“, in IJCAI 2013. Chi Wang, Jiawei Han, “Mining Latent Entity Structures“. (Synthesis Lectures on Data Mining and Knowledge Discovery), Morgan & Claypool Pub., March 2015. Chi Wang, Kaushik Chakrabarti, Yeye He, Kris Ganjam, Zhimin Chen, Philip A. Bernstein, “Concept Expansion Using Web Tables“, in WWW 2015. Chi Wang, Marina Danilevsky, Nihit Desai, Yinan Zhang, Phuong Nguyen, Thrivikrama Taula, Jiawei Han, “A Phrase Mining Framework for Recursive Construction of a Topical Hierarchy“, in KDD 2013. Chi Wang, Kaushik Chakrabarti, Tao Cheng, Surajit Chaudhuri, “Targeted Disambiguation of Ad-hoc, Homogeneous Sets of Named Entities“, in WWW 2012. Yang Li, Chi Wang, Fangqiu Han, Jiawei Han, Dan Roth, Xifeng Yan, “Mining Evidences for Named Entity Disambiguation“, in KDD 2013. Honglei Zhuang, Chi Wang, Fangbo Tao, Lance Kaplan, Jiawei Han, “Identifying Semantically Deviating Outlier Documents“, in EMNLP 2017. Wei Chen, Chi Wang and Yajun Wang, “Scalable Influence Maximization for Prevalent Viral Marketing in Large-Scale Social Networks“, in KDD 2010. Chi Wang, Rajat Raina, David Fong, Ding Zhou, Jiawei Han, Greg Bardros, “Learning Relevance from a Heterogeneous Social Network and Its Application in Online Targeting“, in SIGIR 2011. Chi Wang, Jialu Liu, Nihit Desai, Marina Danilevsky, Jiawei Han, “Constructing Topical Hierarchies in Heterogeneous Information Networks“, Knowledge and Information Systems (invited for one of the best papers in ICDM’13), Volume 44(3), pp. 529–558, 2015. Rui Li, Chi Wang, Kevin Chang, “User Profiling in An Ego Network: Co-Profiling Attributes and Relationships“, in WWW 2014. Jing Gao, Feng Liang, Wei Fan, Chi Wang, Yizhou Sun, Jiawei Han, “Community Outliers and Their Efficient Detection in Information Networks“, in KDD 2010. Chi Wang, Jiawei Han, Yuntao Jia, Jie Tang, Duo Zhang, Yintao Yu, Jingyi Guo, “Mining Advisor-advisee Relationship from Research Publication Networks“, in KDD 2010. Jie Tang, Jimeng Sun, Chi Wang, Zi Yang, “Social Influence Analysis in Large-scale Networks“, in KDD 2009.